Announcing ClubSpark Australia! Announcing ClubSpark Australia! Building on from our success within the UK and Europe across a variety of sports, we aim to grow the ClubSpark presence and capability to other sports within Australia, New Zealand, and the Middle East from our Australian office, to support in our mission of growing sports participation through the use of technology. Based in Melbourne, ClubSpark will be headed up by Head of Partnerships, Alysa Turnbull. 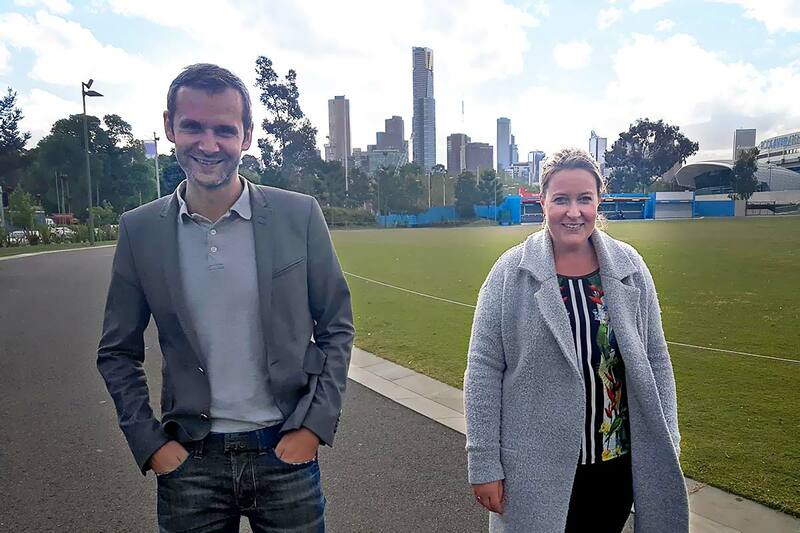 Alysa was joined by Dave Ward CEO and Nathan Flood CTO from the UK for the last two weeks to mark the launch of the office and support our key clients - Tennis Australia and Tennis New Zealand. We plan to work in teams on both sides of the world to learn great new ways of scaling sports participation. We believe this new opportunity will help us to get even better at the work we do, and to do more of it! If you would like to discuss how ClubSpark can support your sporting association or club please contact Alysa on +61 401 381 722.